On Saturday night, January 7th, 2012, the Metal community took another step in dealing with the tragic death of long-time GWAR guitarist Cory Smoot by holding the first of two events in a three-show schedule of shows designed to support the Smoot Family Foundation and honor the life of this prolific artist, who died of a heart attack this past November at the age of only 34. Cory had played the role of Flattus Maximus in the world’s most infamous band for eleven years, as well as participated in many side projects, while at the same time producing and engineering tons of records at his always busy Karma Studios. In doing so he had become a treasured part of the local and national Metal scene, and they turned out in force to both events, opening their hearts to Cory’s family in a completely selfless display of solidarity, respect, and generosity. Show highlights included Lamb of God lead singer Randy Blythe singing for thrashers Cannabis Corpse. 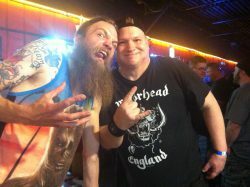 Blythe was later joined by Municipal Waste lead singer Tony Foresta in shearing off five years of hair from GWAR lead singer Dave Brockie’s head, which was raffled off to a lucky winner but ended up everywhere. But the most stirring performance came from Cory’s band mates Mensrea, who pulled themselves together for a powerful and emotional tribute to the life of this truly amazing man. The show Saturday night at the Canal Club was also the CD release party for Cory’s solo record, When Worlds Collide, which will be coming out on Metal Blade Records soon. The next planned event is on March 16th, when GWAR, Municipal Waste, and Ghoul will play at the National Theater. All funds raised at the show will go to the Smoot Family Fund. For those who can’t make it and still wish to donate, they can do so HERE. Rest In Peace, Cory Smoot. JIMI HENDRIX – Back on September 18, 1970, Jimi Hendrix passed away in London, England, at age 27. Forty years ago, the loss of Jimi Hendrix was just getting underway. Getting into the exact details of where Jimi Hendrix died and how he died is not my purpose here. I am solely reflecting on my introduction to his music as a young teen and how his music continues to entertain me to this very day. 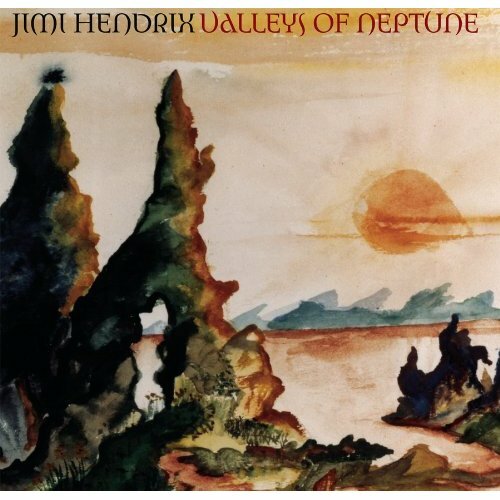 Check that… the music of Jimi Henrix continues to bring me joy to this very day. Back when I was in high school in the early 1980’s, (1980-85), Jimi Hendrix was a huge favorite amongst the crowd of kids I hung with who listened to Heavy Metal. (Yes, I did “extra time” in high school… big deal). Even the kids who listened to straight up Rock and Hard Rock listened to Jimi Hendrix too. It seemed as if no one dared to say they didn’t dig Hendrix back then… he was too cool and bigger than life, regardless if he had passed away a decade earlier. There was this mystique, an almost reverent aura about the songs that Jimi Hendrix sang and played guitar on back in those days. 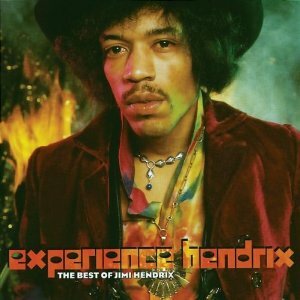 I still get that sense of mystique, a brilliant vibe of reverence when I listen to Jimi Hendrix now… in 2010. Why the reverence? The mystique? 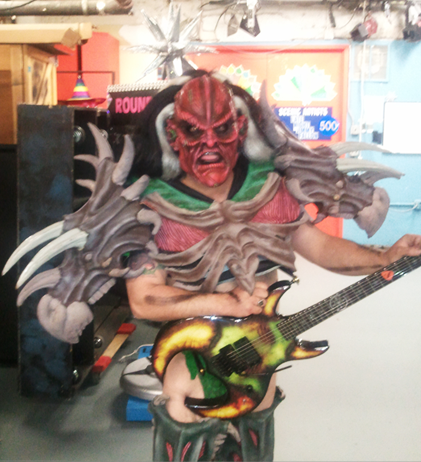 Well, in my Metal opinion, who else can be looked upon as the leading pioneer of electric Heavy Metal guitar? The riffs. Oh, those riffs. Seriously, who else back in 1967 was playing that style of “heavy guitar”? On a consistent level? Yes, you can go back through Rock ‘N’ Roll history with a magnifying glass and find those guitarists who “flirted” with some “heavy” riffs before and during the Jimi Hendrix era. I’m only being real about the impact that Jimi Hendrix had on Rock Music history. His guitar and vocals were so unique to the time that it’s a mesmerizing thought to behold. It is difficult to pinpoint which was the first Jimi Hendrix song I ever heard, although I will venture to guess it was Foxy Lady. The three FM radio stations I listened to, while in high school, were WCCC and WHCN out of Hartford, the third being WPLR out of New Haven, Connecticut. Those three FM stations played Jimi Hendrix like it was going out of style the Beatles, The Who, RUSH and Led Zeppelin were also played so continuously, that I found no reason to buy all of their albums right away. It’s quite possible to admit, that I listened to Jimi Hendrix each day of my high school life due to those FM radio stations. Truthfully. Of course, I borrowed and listened to Are You Experienced, Axis: Bold As Love and Electric Ladyland from my friends before I owned them. Swapping albums was the norm back then… not too many of us had the cash to run out and buy every album we wanted. Those are and always will be the “big 3” Jimi Hendrix albums for me. Sure, there have been many other studio albums released after his death, only these are the three albums that defined Jimi Hendrix and made me one of his countless fans. To stop and reflect for a second, on just how many times I have listened to Jimi Hendrix over the years is mind numbing. Then, to realize that I have never grown tired of the music that Jimi Hendrix created is a double shot of mind numb. Yes, this is all my personal opinion and the way I truly feel. Jimi Hendrix was a pioneering guitar player who paved the way for Heavy Metal to be where it is today. I sometimes wonder what Jimi Hendrix would think of Metal Music in 2010? What would Jimi Hendrix have to say, during those “building block” years of Heavy Metal during the 1970’s and 1980’s? Man, it would be very cool to know. There could never be another set of album releases such as the first 3 from the Jimi Hendrix Experience. To have three albums in a row, with such amazingly memorable songs is unparalleled. Purple Haze, Crosstown Traffic and All Along The Watchtower… really, what more can be said for the originality and pure heaviness of their time? Timeless is a powerful word… Jimi Hendrix epitomizes this word each and every time I listen to his music. Rest In Peace, Jimi Hendrix. Thank you for your timeless music. RUDOLF SCHENKER – HAPPY BIRTHDAY FROM METAL ODYSSEY! RUDOLF SCHENKER – Born on August 31, 1948, Rudolf Schenker turns a Rockin’ cool… 62! Tuesday, August 31, 2010, is Rudolf Schenker day at Metal Odyssey! Happy Birthday Rudolf! Metal Odyssey wishes you all the very best in your Metal endeavors on your birthday! May all the peace, love and good health be with you always! Words cannot express, just how much your music with the Scorpions has meant to me, during my whole life. 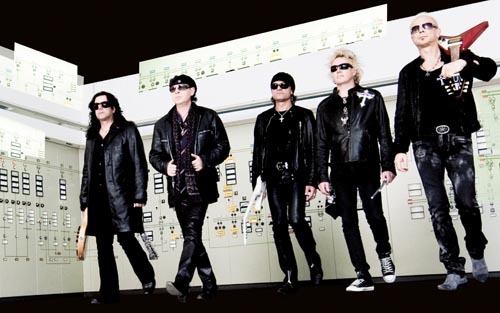 * Pictured in above Scorpions photo, left to right: Pawel Maciwoda, Klaus Meine, Matthias Jabs, James Kottak and the birthday dude… Rudolf Schenker! SCORPIONS AT M3 ROCK FESTIVAL 2010 – THANK YOU SCORPS!! EXODUS – “THE TOXIC WALTZ” SONG FROM 1989 – OLD SCHOOL THRASH METAL REIGNS! 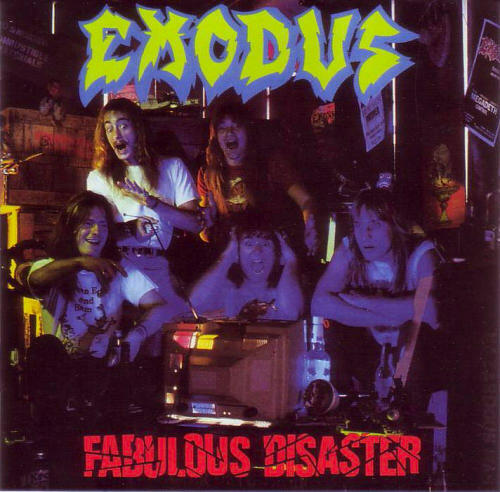 EXODUS – released Fabulous Disaster back in February of 1989. A solid, Old School Thrash Metal album it is. Listening to these Thrash Metal originators is a necessity in my Metal life, Exodus is an instant cure for any Thrash dehydration I may come down with. I like every song on this album, especially The Toxic Waltz. Another very cool song on Fabulous Disaster is the cover version of Low Rider, (originally recorded and made famous by War in 1975). Overdose is another song that swelters with unreal duel guitars and all the Exodus heaviness I could possibly ask for. Growing up with so many 1980’s Thrash Metal Bands, has me revering them in 2010 all the more. This is Exodus from 1989, a vintage lineup. I uphold Thrash loyalty to every Exodus lineup, from their inception to today. Guitarist Gary Holt is for all intents and Metal purposes, a Thrash Metal leader, he has the distinction of being on every Exodus album throughout the bands lineup changes. 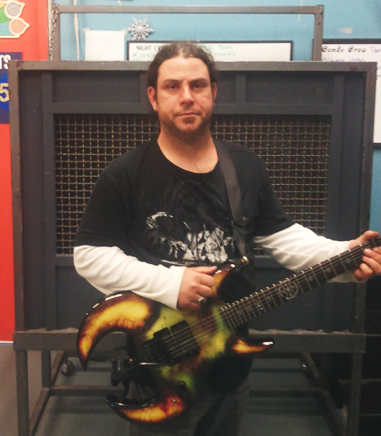 Gary Holt has Exodus blazing into 2010… Metal legends never surrender. The entire Fabulous Disaster album flat out Thrashes and burns. This is a must album for any new or veteran fans of Thrash Metal. Exodus helped pave the way for today’s younger Thrash Metal Bands… Exodus is Thrash Metal roots. I hope you enjoy The Toxic Waltz as much as I do! Fellow fans of Exodus know this song well… a classic. Now, it’s time to jump into the pit and crank this song loud mutha!!! ALCATRAZZ – “ISLAND IN THE SUN” 1983 VIDEO AND BAND REVISITED! 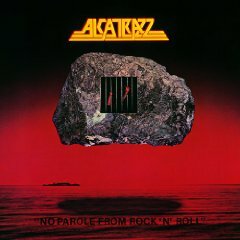 ALCATRAZZ – released their debut album No Parole From Rock ‘N’ Roll back in 1983. Island In The Sun was the “hit” song that was on MTV’s rotation and received some FM radio airplay as well. 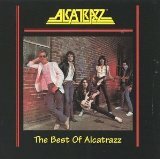 Alcatrazz featured Graham Bonnet on vocals and soon to be guitar legend – Yngwie J. Malmsteen. (Steeler released their debut and self titled album that same year, also featuring Yngwie J. Malmsteen and Ron Keel on vocals). Both Alcatrazz and Steeler are bands I liked very much back in the good ol’ ’80’s… still do. I’ve always and forever will be an admirer of Graham Bonnet’s vocals. Graham Bonnet has fronted many bands, my favorites are: Rainbow, Alcatrazz, Michael Schenker Group and Impellitteri. 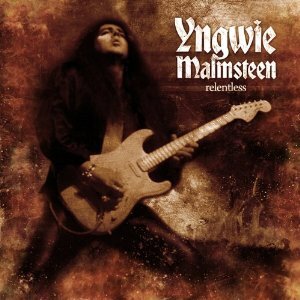 Yngwie J. Malmsteen is simply put… a core favorite of mine since I first heard him play with this Alcatrazz band. There is a whole bunch of Heavy Metal history surrounding Graham Bonnet and Yngwie J. Malmsteen, the number of bands, musicians and albums they have been connected with is amazing. 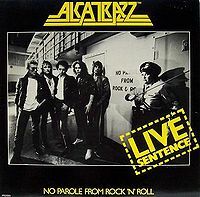 A live version of Island In The Sun is also found on the live Alcatrazz album from 1984 – Live Sentence, with the subtitle No Parole From Rock ‘N’ Roll. Yngwie J. Malmsteen is the guitarist on Live Sentence as well. Eventually the great Steve Vai stepped in to become the guitarist for Alcatrazz, on their 1985 album – Disturbing The Peace. No Parole From Rock ‘N’ Roll and Live Sentence are just two solid 1980’s Heavy Metal albums to revisit, listen to and enjoy. I really like the song Island In The Sun, the vocal harmony of Graham Bonnet combined with the guitar melodies of Yngwie J. Malmsteen just does it for me. This entire Alcatrazz lineup from 1983 was solid, in my Metal opinion. The video for Island In The Sun brings back some memories for certain… those late nights watching MTV with one eye open, back in the early ’80’s, (when MTV was just one station and really played music videos!) This video for Island In The Sun is goofy… it has that early 1980’s fun and appeal all over it. Nonetheless, the song itself is one terrific and melodic Rocker! Hopefully you will enjoy Island In The Sun as much as I do… you don’t have to like the goofiness of the video though! If anything, there never was a guarantee of an acting career for any of these Alcatrazz musicians… that’s for sure. * Both No Parole From Rock ‘N’ Roll and Live Sentence were released on Polydor Records. Crank up Island In The Sun… and have a chuckle or two at this video! The Best Of Alcatrazz was released back in October of 1998. This Best Of album also contains the studio version of Island In The Sun as well. LONG LIVE YNGWIE J. MALMSTEEN!